Alum often appears on lists of home remedies for canker sores. It’s a longtime folk remedy and fans of the substance claim their mouth sores go away almost instantly after applying it. A number of people have used this powder since they were kids, learning about it from parents and grandparents who have used it for decades. Information on alum for treating canker sores is strictly anecdotal, but people who have used the substance say it reduces the size of their ulcers and heals them oftentimes overnight. While not meant to be a pain reliever per se, it is an astringent and appears to help cauterize the ulcer so it will heal more quickly. It helps dry out the lesions, reduce the swelling and inflammation and decrease the size. 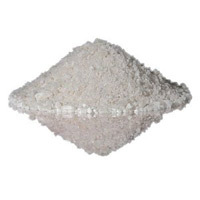 Alum Powder is a white powder used in canning and pickling as a preservative to produce crispness, and it is usually found in the spice aisle at the grocery store as well as online. The label will usually simply say “Alum” on the front. it comes in several forms; the crystallized or granular form is preferably to the fine powder, which may dissolve too quickly. What most people do is dampen a cotton swab with water and dip it in a tiny bit of alum. I you want to dilute it further, mix a small amount of alum with about a teaspoon of water. Apply it to your mouth sore and leave it there for about five minutes. After applying it, try to keep the area from getting too wet with saliva. Some people like to lay on their side with the canker sore side of their face up to help prevent saliva from running into it. The first thing you may feel is a sting or a burning sensation, or it could throb mightily at first before subsiding. Be aware of this and be very cautious about using too much. Alum is very bitter and tastes absolutely horrible, but most folks who try it say it’s worth it. After a few minutes, rinse your mouth. Some people like to brush their teeth afterward to more completely remove the taste, but do it gently so you don’t accidentally scrape your sore and make matters worse. One of the benefits of alum is that it helps numb the pain. In fact it is so good at numbing that some say you need to be careful not to bite the inside of your cheek after application. Kind of odd, seeing as it can sting so much when first applied. Anecdotally, a number of people have noted that the substance heals their mouth sores faster than anything else. They get such good pain relief that many find they can resume eating and drinking normally while their sore begins to heal, without suffering painful consequences. Alum can also be used as a mouthwash to treat gum disease and toothaches, it you can handle the bitter taste. It’s also been used to treat other skin conditions such as eczema. FDA-approved as a food additive, potassium-based alum is food-grade plus it’s cheap and effective. You can keep a small jar on hand and it will last for years without losing potency. It is quite inexpensive, under $5 for a four-ounce container. Keep in mind that this is a folk remedy and a suggestion only; your experience may be different from others. A friend told me about another product she called “yellow powder” that is suppose to heal canker sores. Do you know what yellow powder can be purchased? I have used alum in the past and it does real well in healing the sores in the mouth. That yellow powder would be turmeric. I’ve used it numerous times but it will stain your skin yellow so it’s best used in a spot which can be hidden by clothes or a Band-aid. In India, turmeric has been used as a remedy for stomach and liver ailments, as well as topically to heal sores, basically for its supposed antimicrobial property. In the Siddha system (since around 1900 BCE), turmeric was a medicine for a range of diseases and conditions, including those of the skin, pulmonary, and gastrointestinal systems, aches, pains, wounds, sprains, and liver disorders. A fresh juice is commonly used in many skin conditions, including eczema, chicken pox, shingles, allergy, and scabies. You probably used to much Niki. i think mine feels worse too. i used a peasize like i was told.. left it on for 5mins and then spit what i could out. i was told not to rinse it out just spit what i could out. 24hrs later its still hurts just as bad. I find I need to use it twice-no matter how long I keep it on there. If I only do it once, its almost like I made it angry and its worse. It I do it twice, once right after the other, for some reason, then in works. No clue why. My grandfather introduced me to alum for canker sores when I was a kid. But he swore it had to be burnt alum. I can’t find it anywhere now. The regular alum works pretty well, though. I prefer the powdered form. I am going to try the alum method but I have a lot of canker sores everywhere in my mouth right now (bottom lip tongue upper lip roof of my mouth ) should I do alum on all spots at the same time or one by one ? I too have them all in my mouth, did this help? I’ve tried everything for Canker sores and using Alum has been nothing short of miraculous. In my case, the canker sore was so bad that I used it 2x daily for a couple of days and it’s well on it’s way. For those of you who have canker sores all over the inside of your mouth alum can help tremendously. A co-worker told me that she’d had the same problem for decades and she believed that it had caused her to lose most of her teeth. The next day I brought her an unopened bottle of alum. After only 3 or 4 applications she was cured. I believe that had she used the alum years earlier she would have saved her teeth. It does taste terrible so do the treatment at home. Put 1/8 teaspoon of alum in your mouth and you will immediately begin to salivate but don’t spit it out, instead swish it around in your mouth for at least 5 minutes before you spit it out. Please come back to this site to post your results! I tried this, following the instructions exactly. Definitely dried out the spot for a while, but got up this morning and it’d had no effect. You didn’t repeat the treatment a few times. It’s usually not a one application cure. Just to be clear, you want to do this treatment several times in the same day. Remember to put the alum directly on the sore and leave it there as long as you can stand the discomfort. You want your mouth to really dry out. I believe that the alum creates a change in the ph balance in your mouth which causes whatever is causing the canker sores to die. So although your mouth feeling really dry isn’t a great feeling it’s the way to a cure. Next time you have a flare-up, give the alum another try but be more aggressive next time and please report back. is this safe to do after oral surgery (wisdom teeth removed). It’s been 8 days since surgery. I have 2 kanker sores and I’m also still in a LOT of pain from surgery. These sores are going to be the death of me!! After my root canal I have lots of canker sores on my upper and lower gums, inside of my cheek and couple of them on my mouth. I have tried oregano oil, tea tree oil, ora gel for a week now, nothing helps. I will try Alum powder and let you know if it works for me. I am reporting back about my experience with Alum powder. Bought it Thr night,8/27/15, at King Soopers. It was with Pickling supplies not with the Spices. Same night put a lot of powder on my sores and kept it for 10 min because I was desperate to get rid of my them. I was salivating like crazy and it did hurt alot. One of my biggest sores turned from yellow to brownish-grayish and started bleeding. Well, lesson learned-don’t overdo, 5 min is enough. Then, I accidentally swallowed some of the saliva and immediately my stomach started burning, so I had to drink lots of water to calm it down. For the next 3 days I was using Alum powder in the morning before work, after work and before bed time and every time it was very painful. Today, Monday, 8/31/15, my small sores are gone, the big ones are still there, but not as painful as before. Will keep using the powder until all of them are gone. I used to get canker sores all the time. I had to avoid fruits and all sweets, and even though I did, I still got canker sores all the time. For unrelated reasons I started taking ultra liquid zeolite. It is a liquid that you add to water and drink. Much to my surprise, my canker sores went away and never came back. Now, even when I bite my cheek or lip it doesn’t become a painful sore. A drop or two a day is all that is needed. Canker sore patch! DenTek was the brand I found and Walmart might even have a generic! It burns for a few minutes but then turns into gel and protects the sore, so it can heal faster! I don’t normally leave replies but I know how desperate I was for relief and wanted to share!